With almost 20,000 pageviews from nearly a 100 countries since its start at the end of May, this weblog has gathered a large group of readers. It is to you all that I would like to extend my thanks, for it is your reactions that kept me going, trying to provide you all kinds of ECHR-related news. This is my last post of this calendar year, but I will be back in full swing on January 5. 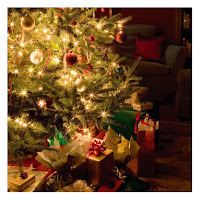 For those of you who wish to read a judgment under the Christmas tree, I can recommend Khurshid Mustafa and Tarzibachi v. Sweden: on a family originally from Iraq, evicted from their apartment in Sweden for refusing to remove a satellite dish which enabled them to watch television programmes from their country of origin. One may specifically consider with a smile the Court's ironic obiter dictum that it concerned "a tenement house with no particular aesthetic aspirations"! Best wishes for the end of the year, dear readers, and see you in 2009! Can international judges be relied upon to resolve disputes impartially? If not, what are the sources of their biases? Answers to these questions are critically important for the functioning of an emerging international judiciary, yet we know remarkably little about international judicial behavior. An analysis of a new dataset of dissents in the European Court of Human Rights (ECtHR) yields a mixed set of answers. On the bright side, there is no evidence that judges systematically employ cultural or geopolitical biases in their rulings. There is some evidence that career insecurities make judges more likely to favor their national government when it is a party to a dispute. Most strongly, the evidence suggests that international judges are policy seekers. Judges vary in their inclination to defer to member states in the implementation of human rights. Moreover, judges from former socialist countries are more likely to find violations against their own government and against other former socialist governments, suggesting that they are motivated by rectifying a particular set of injustices. I conclude that the overall picture is mostly positive for the possibility of impartial review of government behavior by judges on an international court. Like judges on domestic review courts, ECtHR judges are politically motivated actors in the sense that they have policy preferences on how to best apply abstract human rights in concrete cases, not in the sense that they are using their judicial power to settle geopolitical scores. The regulation of advertising for political parties on television is an issue hotly debated in many countries. In Norway there is a complete ban on such advertising. 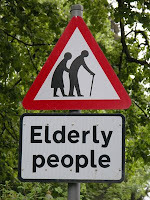 Thus when a local television station (TV Vest) broadcasted adverts for the Pensioners Party, it was fined. 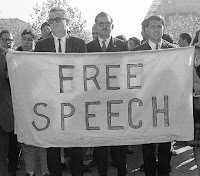 Both TV Vest and the Pensioners Party lodged a complaint in Strasbourg and the Court found in their favour: Article 10 ECHR (the freedom of expression) had been violated, according to the Court in its judgment last week in TV Vest AS & Rogaland Pensjonistparti. Interestingly, Norway defended the ban on the grounds that allowing advertising would allow powerful financial groups to market their opinions. The Court noted, however, that the ban in this case had the opposite effect by precluding any advertising for a party which barely got mentioned in TV programmes or the news. Therefore, advertising was the only way to convey its message to voters on TV. The Court also mentioned that the adverstiement at issue was descriptive and a mere call to vote. The Court also considered that no particular sensitivities were at play (such as in the case of religious advertising in the Irish context in the case of Murphy of 2003) and that it could not be supported that there was no alternative to a blanket ban. Societal context thus appears particularly important. The Court found that neither the ban nor the fine had been "necessary in a democratic society". The judgment contains a concurring opinion by Judge Jebens. Last week, the Court gave a pilot-like judgment in the case of Viasu v. Romania. The applicant in the case tried in vain to have a compensation order under current Romanian restitution legislation enforced. Viasu's plot of land had been nationalised in the Communist era, and restitution in itself was impossible because the land in question was being used as a mine. The Court noted that many others, including many which had an application pending in Strasbourg, found themselves in the same situation. The Court found a violation of Article 1 of Protocol 1 ECHR (peaceful enjoyment of possessions), since the national compensation decisions for Mr. Viasu had not been enforced for years. The problem was caused by the very complicated restitution system, which had undergone many legislative changes leading to legal uncertainty. The Court refers to this as overabundant and largely ineffective legislative activity ("activité normative surabondante et ... largement inefficace", para. 72). In this sense the problem was systemic. This of course implies that the state involved has to take action which goes beyond the circumstances of the case at hand. Pour aider l'État défendeur à remplir ses obligations au titre de l'article 46, la Cour a cherché à indiquer, à titre purement indicatif, le type de mesures que l'État roumain pourrait prendre pour mettre un terme à la situation structurelle constatée en l'espèce. Elle considère que l'État défendeur doit, avant tout, soit supprimer tout obstacle s'opposant à l'exercice effectif du droit des nombreuses personnes touchées par la situation jugée par elle contraire à la Convention, comme c'est le cas du requérant, ou à défaut, offrir un redressement approprié. L'État défendeur doit donc garantir par des mesures légales et administratives appropriées la réalisation effective et rapide du droit à restitution, qu'il s'agisse d'une restitution en nature ou de l'octroi d'une indemnité, conformément aux principes de la prééminence du droit et de la légalité de la protection des droits patrimoniaux énoncés à l'article 1 du Protocole no 1, en tenant compte des principes énoncés par la jurisprudence de la Cour en matière d'indemnisation (arrêt Broniowski précité, §§ 147-151, 176 et 186). Ces objectifs pourraient être atteints, par exemple, par l'amendement du mécanisme de restitution actuel, dont la Cour a relevé certaines faiblesses, et la mise en place d'urgence de procédures simplifiées et efficaces, fondées sur des mesures législatives et règlementaires cohérentes, qui puissent ménager un juste équilibre entre les différents intérêts en jeu. For the applicant there was a directly positive outcome: Romania is to pay him 115,000 euros within three months. This in itself may form a strong inducement for the authorities to provide clarity in the restitution law system. The judgment is available only in French, but a press release in English can be found here. In 2008 Human Rights Day coincides with the 60th anniversary of the Universal Declaration of Human Rights. Without the Universal Declaration, one of the first great achievements of the United Nations, nothing would have been possible. 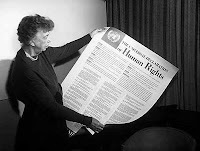 It called into being most of the later international human rights protection instruments, and the European Convention on Human Rights, signed as early as 1950, directly follows the line it traced. The three regional human rights courts (African, European and Inter-American) have just held a major colloquy in the Human Rights Building, on 8 and 9 December, which provided an opportunity to compare case-law and practice. It will soon be fifty years since the Strasbourg Court began to apply and interpret the Convention, and it is proud to have delivered more than 10,000 judgments, which have binding force and translate into concrete and enforceable terms the main principles solemnly set forth in the Declaration. Our Court has drawn the broad lines of the right to a fair trial, the right to respect for private life, freedom of the press, the right to life and physical integrity and so on. More recently, it has intervened in new fields, such as education, the environment and bioethics. It has affirmed its case-law on protection of the rights of aliens, including in the (certainly legitimate and indispensable) context of combating terrorism. It has also tackled new social problems, such as those of a sexual nature. The Court has successfully responded to the need to take into account the evolution of our societies and the appearance of new problems and new technologies. The diversity of the cases it has to deal with and the ever growing number of applications show that, more and more, people are turning towards the Court and placing their trust in it, with the result that its workload has been significantly increased. The celebrations – today of the 60th anniversary of the Universal Declaration, next year of the 50th anniversary of our Court – must not be focused on the past alone: we also have to think about the long-term future of the European human-rights protection system, to which we must give a new lease of life. In the same way, Human Rights Day should celebrate what has been achieved in the past and turn towards the future. For sixty years the United Nations and the regional organisations like the Council of Europe have led humanity forward on the path of justice and freedom. But there is still a long road to travel. Let us unite our forces for the journey! Last week, om 4 December, the Grand Chamber delivered its judgment S. and Marper v. United Kingdom, a highly anticipated case on the retention of fingerprints and DNA by the British authorities. 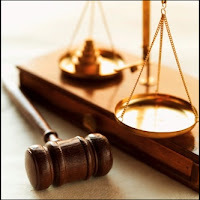 The complaints centered on the situation of persons who had been suspected of crimes but who had subsequently either been acquitted or whose proceedings had been discontinued. Current British law allowed for the unlimited DNA, cellular samples and fingerprint retention of that category of persons, even when such persons requested the authorities to destroy such samples. In the Court's view, the strong consensus existing among the Contracting States in this respect is of considerable importance and narrows the margin of appreciation left to the respondent State in the assessment of the permissible limits of the interference with private life in this sphere. The Court considers that any State claiming a pioneer role in the development of new technologies bears special responsibility for striking the right balance in this regard. The Court concluded that the existing blanket and unlimited retention of this kind of personal information overstepped any acceptable margin of appreciation. The case thus indicates the outer limits of the acceptable storage of personal information. In the following years - considering the high relevance of the issue in most state parties to the ECHR - the issue will certainly resurface. What can already be concluded from this case, is that the state should carefully balance the interests of society and the individual interest of privacy. Blanket and general rules applying to everyone irrespective of guilt or nature of the suspected crime just will not do. The press release can be found here. A video of the delivery of the judgment by President Costa can be watched here. - Testing the margin of appreciation: therapeutic abortion, reproductive 'rights' and the intriguing case of Tysiac v. Poland, by N. Priaulx (p. 361-379). - Minority mobilisation in Greece and litigation in Strasbourg, by K. Tsitselikis (p. 27-48). Other recent articles on human rights law can be found on the new current contents selection of the Netherlands Institute of Human Rights SIM. A great resource! The protection of privacy is a major problem on the internet. But the situation gets even more complicated when the protection of the privacy of one person negatively affects the privacy of another person. That is exactly what happened in the case of K.U. v. Finland, in which the Court delivered its judgment yesterday. The case was lodged by a Finnish boy. He complained that in 1999, when he was 12 years old, someone posted a sexual advertisement about him on the internet without his knowledge, with a link to his picture and email address. The ad indicated that he was looking for "an intimate relationship with a boy of his age or older to show him the way". Subsequently, he received an email from a man who wanted to meet him to "see what he wanted". When the boy's father complained to the police and asked them to bring charges, it appeared that the internet provider could not be forced under Finnish law in the context of slander (under which the Finnish courts revierwed the case) to divulge the identity of the person that had posted the ad. In conclusion, the Court unanimously found a violation of Article 8. Thus the judgment offers important pointers on the extremes within which the state's balancing exercise in these matters should take place. A welcome development! To Finland's (albeit late) credit, new legislation has come into force which does permit for disclosure of identity in comparable cases. The press release in this case can be found here. Yesterday, the Grand Chamber issued its judgment in the case of Salduz, about a 17 year-old boy who was questioned in a police station without having access to a lawyer and was subsequently convicted, mainly on his confession made at the police station. Contrary to the earlier judgment of a Chamber of the Court (2007), the Grand Chamber unanimously found a violation of Article 6(3-e), the right to legal assistance. The concurring opinions are very much worth reading. One of them argues for a reopening of the trial on the national level as the best way of achieving restitutio in integrum - and thus continues the debate on how precisely the Court should indicate what a state should do to remedy a violation of the Convention. The wearing of religious clothing is a topical issue in many European countries. This month, the Court declared inadmissible the complaint of a Sikh, in Mann Singh v. France. The applicant had tried to obtain a duplicate driving licence after the original had been stolen. 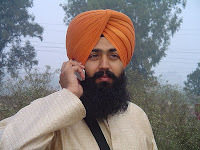 His request was refused, because he did not want to pose for the identity photographs without his turban (Sikh men are required to wear a turban at all times), although the applicable rules required that a person should be "bareheaded and facing forward" on an identity photograph. The reasoning of the applicant that this had not been necessary in earlier years, was not accepted. 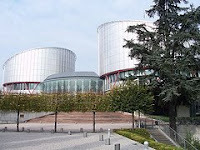 The European Court of Human Rights found that the French requirement interfered with Mann Singh's freedom of religion, but that it was provided by law and served the legitimate aim of ensuring public safety. In this context it was necessary for the authorities to be able to identify persons under road traffic regulations to check whether someone was authorized to drive. Referring to earlier case law, it held that the details of such national arrangements fell within a state's margin of appreciation. It also noted, that the requirement was a sporadic one. The earlier cases to which the Court refers are Phull v. France (Sikh in airport security check), El Morsli v. France (muslim woman in consulate of France in Morocco, in context of identity check), and Karaduman v. Turkey (identification in order to receive university diploma). One can conclude from all of these cases, that - unless manifestly unreasonable or disproportionate - ECHR state parties can go against people's own religious rules for the purposes of necessary identification which serves a legitimate aim. Although the applicant also invoked the right to privacy and the prohibition of discrimination, the Court did not find any appearance of a violation of those provisions. The decision itself is available only in French, but the press release in English can be found here. Just a short note today on two related cases of privacy violations by the media. Yesterday, the Court issued its judgments in Armonas v. Lithuania and Biriuk v. Lithuania. The leading Lithuanian newspaper, basing itself on hospital staff, published an article on its front page in 2001 stating that Mr Armonas and Ms Biriuk were HIV positive, describing the two as having illegitimate children and labelling Ms Biriuk as "notoriously promiscuous". 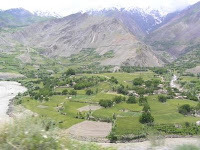 The two applicants lived in a small village community. When both of them sued the newspaper on the national level, alleging violations of privacy, they won their cases and were awarded damages. They claimed in Strasbourg, however, that the height of the damages was derisory, and that this in practice protected the media against lawsuits relating to breaches of privacy. The Court found, in both cases, by six votes to one, that Article 8 ECHR (right to respect for privacy) had indeed been violated. The judgments devote a few notable remarks to the dangers of medical staff disclosing patient's personal medical information to third parties. It calls the matter an "outrageous abuse of press freedom". Interestingly, the Court notes as part of its argumentation that the legal ceiling on compensation for damages in Lithuania was changed soon after the events in question to a higher level. In both cases judges Popovic and Tsotsoria disagreed with the majority on the amounts awarded for non-pecuniary damage(6,500 euros to each applicant), holding those to be excessive in the light of the balancing between the right to privacy and the right to freedom of expression. The Italian judge Zagrebelsky disagreed on the substantive point and argued in his dissenting opinion that Article 8 had not been violated. He basically argues, with good reasons, that the matter of how high the ceiling for damages is, generally falls - except for extreme cases - within a state's margin of appreciation. The Lithuanian judge did, by the way, vote with the majority on all points. Two cases worth reading in many respects! Usually results of past elections are at stake in judgments concerning the right to vote, but last week the European Court issued its judgment in a forward looking case: Tanase and Chirtoaca v. Moldova. The two applicants in the case complained that a law enacted in April of this year, which precluded persons with a dual or multiple nationality from becoming members of Parliament, violated their election rights under Article 3 of Protocol 1 ECHR. This Article obliges states to hold regular and free elections. It has been interpreted by the Court to include both active and passive electoral rights: the right to vote and the light to stand as a candidate for election. The applicants were two politicians. Chirtoaca is the mayor of Chisinau, Moldova's capital, and Tanase is member of that city's municipal council. Both are leading figures of (different) liberal parties and wanted to stand as candidates in the upcoming parliamentary elections. Chirtoaca and Tanase have a double Moldovan and Romanian nationality, as do hundreds of thousands of their fellow Moldovans. In addition, 120,000 Moldovans (one may assume mostly in the region of Transdnistria) also have Russian nationality. In a country with approximately 4 million inhabitants these are high numbers. Thus, the introduction of a new law on elections in Spring 2008 affected a very considerable group. The case was dealt with in a particularly quick manner. The application was lodged less than a year ago, on 27 December 2007. In June of this year, the Court decided to give the case priority in view of the Moldovan elections in Spring 2009. See Rule 41 of the Rules of Court. Mr Chirtoaca's application was declared non-admissible by the Court. Since he had indicated that he would not give up his position as mayor but simply participated to gain votes for his party's list (and since Moldovan law did not allow for double mandates), the European Court held that he was not himself affected by the law at stake. By contrast, Mr Tanase was. He faced, in the wording of the Court, "the difficult choice between sitting as an MP and renouncing his dual nationality". Thus the Court concluded that the new law directly affected him. It must be noted that in the course of this year, a range of European institutions openly criticised the law: the European Commission against Racism and Intolerance (ECRI), the EU-Moldova Cooperation Council, the Council of Europe's Parliamentary Assembly and the Venice Commission. Amongst others, it was noted that the law directly contravened the European Convention on Nationality, to which Moldova is a party, which explicitly provides that citizens with multiple nationalities shall have the same rights as other nationals in the state concerned. The Venice Commission, in its report on the law, noted that the nationality issue could be a violation of the ECHR. Indeed, the Court's judgment in this case has now confirmed that. Generally, the Court grants states a large margin of appreciation under Article 3 of Protocol 1 and it assesses cases "in the light of the political evolution of the country concerned." It is interesting that the Court under the legality test mentioned that the law was apparently inconsistent with the Convention on Nationality, which in the Moldovan legal order takes precedence over national legislation. The Court accepted the Government's claim that the law was meant to ensure the loyalty of MPs to Moldova and that this could be considered a "legitimate aim". However, the Court found the particular provision in the law to be disproportionate. The reasoning of the Court is telling: it noted that Moldova is the only country allowing multiple nationalities, but banning such people to stand for national elections. In addition, the Court considers that there are other ways of ensuring loyalty (such as an oath). Let me quote one passage (para. 109): "In this respect the Court wishes to stress that in a democracy, loyalty to a State does not necessarily mean loyalty to the actual government of that State or to a certain political party." Another point by which the Court was struck was that in 2002-2003 Parliament had introduced legislation to allow for dual nationality, as a consequence of which many people had applied for it. The new law deprived these people from standing for national elections ("failing renunciation of an acquired additional nationality"). Also, the Court found that the introduction of the new law less than a year before the new elections went against Council of Europe recommendations on the stability of electoral law. The Court also referred to the Venice Commission's report on the issue and noted that Moldova did "not react in any way to the unequivocal signals of concern from the Council of Europe" (para. 114). Taking all these considerations together, the Court concluded that the law's provision was disproportionate. One can hardly imagine stronger support for other European organisations working on the issue than this judgment. Nor can one imagine a clearer condemnation of Moldova's actions by a respected international court. The final arbiter has now issued its dictum. It can only be hoped that Moldova will now finally take action to bring its electoral law in line with the European standards it has committed itself to. On 18 November 2008 the European Court of Human Rights received an application (no. 55185/08) lodged by the guardian of Mrs Ada Rossi, a person in a persistent vegetative state receiving artificial nutrition and hydration, and by VI.VE Onlus, Federazione Nazionale Associazioni Trauma Cranico, ARCO 92, Gli Amici di Luca, Genesis and Associazione Rinascita Vita Onlus, associations whose membership consists of relatives and friends of severely disabled persons and of doctors, psychologists, lawyers and experts in bioethics who assist such persons. On 19 November 2008 the Court received an application from Associazione Rinascita Vita Onlus (no. 55483/08). The applicants complain principally, under Articles 2 (right to life), 3 (prohibition of inhuman and degrading treatment) and 8 (right to respect for private and family life) of the European Convention on Human Rights, of the possible effects of the decision of the Milan Court of Appeal to authorise B.P., the guardian of E.E., who is severely disabled and has been in a persistent vegetative state for several years, to discontinue his daughter’s artificial nutrition and hydration. The applicants requested the Court to apply Rule 39 of its Rules of Court in order to obtain a stay of execution of the decision in question. On 19 November 2008 the President of the Chamber to which the case had been allocated decided to refuse the requests for interim measures made by the applicants. The applicants were informed of the decision and asked to indicate whether they wished to maintain their applications. Should they decide to do so, the Court will rule in due course on the admissibility and merits of the applications. I will keep you updated on any follow-up decisions or a possible judgment. Gender discrimination is addressed differently under Article 14 ECHR and EU primary and secondary legal provisions. This is no wonder, since the role and scope of non-discrimination law in both legal orders are not the same, and since the scope of jurisdiction of the European Court of Human Rights and the European Court of Justice applying those provisions differ drastically as well. While this observation is not new, the potential discrepancy between the two non-discrimination regimes and the two Court's case law constitutes an increasing concern for national authorities and individuals in the 27 European Union (EU) Member States. As a result, gender discrimination is one of the many facets of the current human rights competition raging between the two European organisations, but also of the recent judicial attempts at minimising potential conflicts through mutual borrowings. 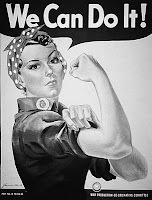 The present article starts by identifying and comparing the role and scope, as well as the various material and procedural constitutive elements of the two regimes of non-discrimination on grounds of gender. The author argues for a greater systematisation of the two regimes before fruitful borrowings can take place or else the latter will jeopardise the overall coherence of the law on gender discrimination and the specificities in each of the two regimes. The article also argues that EU accession to the ECHR will not, as it is often argued, threaten the specificity of EU anti-discrimination law, but on the contrary enhance the complementarity between EU social law and European human rights law more generally. Yesterday, the President of the Court decided to apply Rule 39 of the Rules of Court and ordered France not to remove a group of eleven Afghan nationals to Afghanistan. The group is being held in administrative detention pending their removal on a flight organised by France and the United Kingdom. They lodged applications last week complaining that removal would violate Article 3 ECHR (real risk of torture or ill-treatment by the Taliban) and Article 4 of Protocol 4 (prohibition of collective expulsion of aliens). In a somewhat comparable case decided last year - Sultani v. France - the Court held that expulsion would not violate the above-mentioned rights. For a more extensive analysis of the legal consequences of interim measures, see my earlier post here. The Kafkaris judgment can be found here. A calendar that promotes hate speech. That was the object of attention in a recent judgment of the Court in the case of Balsyte-Lideikiene v. Lithuania. Although handed down already two weeks ago, it is very worthwhile to read. The case concerns the so-called Lithuanian calendar, which in its 2000 version contained several extremely negative statements about Jews and Poles. The most appalling of which is probably that Jews are accused of genocide of the Lithuanian nation. After complaints from the Lithuanian parliament and from neighbouring countries, the authorities instituted an investigation, in the context of which expert opinions were commissioned on the question whether the calendar "promoted ethnic, racial or religious hostility". The experts came from different fields: history, psychology, policital science, and library science. The applicant was fined by the national courts, which based themselves to a considerable extent on the experts' reports. The European Court found, by six votes to one, that Article 6(1) ECHR had been violated. This happened on account of the fact that the applicant had never been allowed to question the experts, even though the national judiciary extensively relied on their findings. The Dutch judge, Egbert Myjer, has attached an intriguing dissenting opinion. One of his main arguments is that the assessment of whether a certain expression promotes hatred is "first and foremost a legal question". Thus the expert opinions, in his view, could not reasonably have contributed to the national court's decision-making. He contrasts this to other situations, where technical or medical issues are at stake or where one needs to check whether a painting is a real Rembrandt or not! Personally, I fail to see what the real difference is in this sense between expertise from those sciences and the ones in this case. It reminds me a bit of former OSCE High Commissioner on National Minorities, Max van der Stoel, who famously claimed that he knew a minority when he saw one. The Court also found, unanimously, that Article 10 ECHR (freedom of expression) had not been violated. In the latter context the Court explicitly referred to the specific Lithuanian historic context and to the country's international obligations (such as the obligation under UN human rights treaties) to combat advocacy of hatred. The accession of Central and East European States into the European Convention of Human Rights system was both a threat and a promise to the system. The threat resulted not only from the substantial increase of the number of Member States and that of the case-load, but also from the demise of a consensus which was, originally, presupposed by the system of protection of human rights in Western Europe: original members of the Council of Europe were "like-minded" and the Convention system did not represent a challenge to their internal apparatus of human rights protection. This paper, however, focuses on a promise: a possibility for the European Court of Human Rights to abandon once and for all the fiction of it being merely a sort of super-appellate court which scrutinizes individual decisions rather than laws in Member States. This shift towards a quasi-constitutional role, going beyond the simple identification of wrong individual decisions so as to point to systemic legal defects, was triggered by systemic problems within the new Member States, while also facilitated by collaboration between the European Court and national constitutional courts. The emergence of so-called "pilot judgments" is the best and most recent illustration of this trend. The way in which a national court may form a de facto alliance with the European Court effectively "pierces the veil of the State", and positions the European Court as a quasi-constitutional judicial body at a pan-European level. Just released: today the Grand Chamber of the Court delivered its judgment in the case of Demir & Baykara v. Turkey, an important case on trade union rights. The Chamber unanimously found that Article 11 ECHR had been violated. Interestingly, the case had been brought to the Grand Chamber by internal appeal of Turkey, after the Court had already concluded in its judgment in the case in 2006 that Article 11 had been violated. 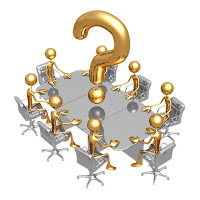 Notably, the Grand Chamber - in a deviation form earlier case law, especially from the 1970s - held that the right to bargain collectively had become one of the essential or core elements of the right to join and form trade unions. In doing so, the Grand Chamber referred both to international legal developments and changes on the national level in ECHR state parties. One may especially note the reference to the EU's Charter of Fundamental Rights, which will become binding once (if ever) the Lisbon Treaty will be fully ratified. Once again, the Convention proves to be a living instrument! In addition, the judgment also contains noteworthy thoughts on the specific Article 11 rights of civil servants. Government campaigns warning about religions. It might be a sensitive topic anywhere, but maybe especially so in Germany. The isse was at the core of a judgment decided by the Court last week: Leela Förderkreis e.V. and Others v. Germany. The applicants in the case complained about a government campaign started in 1979 to warn people about the dangers of ("psycho") sects who were, according to the authorities "destructive" and "manipulated their members". In this case, the applicants were organisations of followers of Osho, earlier known as the Bhagwan movement, which has been active in Germany from the 1960s and 1970s onwards. They instituted proceedings against the government's campaign in 1984. Those lasted until 2002 when Germany's Constitutional Court forbade the use of the wording "destructive" and "manipulated their members", but also ruled that the authorities could inform the public with adequate information on the religious groups concerned. The Helsinki Federation for Human Rights in Warszaw intervened as a third party, indicating that using the term "sects" by the authorities had a negative connotation and was defamatory. The legal issues concerned two points. First, the length of the proceedings. 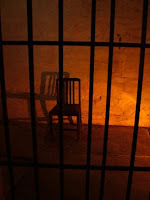 The Court considered the period of 18 years to have been too long and found a violation of Article 6(1) ECHR. Even taking into account the German reunification at the beginning of the nineties (which Germany had brought into the discussion) the period was excessive. The European Court remarked that only a relatively small number of cases before the Constitutional Court concerned reunification and could not explain - let alone justify - the long time that the proceedings lasted. [I]t can prove difficult to frame law with a high precision on matters such as providing information, where the relevant factors are in constant evolution in line with developments in society and in the means of communication, and tight regulation may not be appropriate. In these circumstances, the Court considers that the Government's information-imparting role did not require further legislative concretisation. [T]he increasing number of new religious and ideological movements generated conflict and tension in German society, raising questions of general importance. 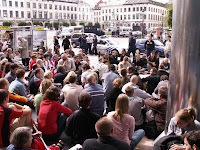 The contested statements and the other material before the Court show that the German Government, by providing people in good time with explanations it considered useful at that time, was aiming to settle a burning public issue and attempting to warn citizens against phenomena it viewed as disturbing, for example, the appearance of numerous new religious movements and their attraction for young people. The public authorities wished to enable people, if necessary, to take care of themselves and not to land themselves or others in difficulties solely on account of lack of knowledge. The Court takes the view that such a power of preventive intervention on the State's part is also consistent with the Contracting Parties' positive obligations under Article 1 of the Convention to secure the rights and freedoms of persons within their jurisdiction. It held that the term "sects" was used at the material time for any "non-mainstream religion" even if it had a pejorative connotation. By five votes to two the Court found no violation. The dissenting opinions of the Bulgarian and Macedonian judges strongly disagree. They indicate that the German authorities overstepped the boundaries of neutrality and treated non-mainstream religions differently from mainstream religions. 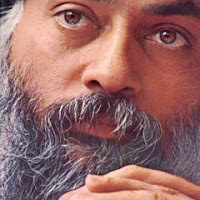 In addition, they stress that at the relevant time there were no indications that the Osho movement harmed the population. In this case, my opinion is that both sides have good arguments. In this sensitive area it is very difficult to strike the right tone. One may easily understand the danger of a government pointing out the "dangers" of some religions. On the other hand, one may also see the negative consequences of the activities of some groups. What might seems harmless now may not have seemed so three decades ago. It seems anyhow necessary for the state to base such decisions on solid ground rather than just on public discussion or fears. On 10 October a special seminar on the Freedom of Expression (Article 10) was held at the European Court of Human Rights. The papers presented there and the conclusions are now available here. They include critical assessments of recent restrictive trends in the Court's case law and comparisons with the national level and other regional human rights systems. Recommended reading for Article 10 fans! Thanks to Darian Pavli of the Open Society Justice Initiative for pointing out the link to me! In July 2000, Aleksandar Kandzhov put up two posters which allegedly insulted the Minister of Justice. In addition, he collected signatures calling for the resignation of the Minister. Within a day, Kandzhov was arrested and detained on the charges of insult and hooliganism. Three days later he was released on bail. In subsequent proceedings he was first convicted and later acquitted of the charge of hooliganism. The charge of insult was dropped. [T]he actions or omissions of the Government and of its members must be subject to close scrutiny by the press and public opinion. Furthermore, the dominant position which the Government and its members occupy makes it necessary for them – and for the authorities in general – to display restraint in resorting to criminal proceedings, and the associated custodial measures, particularly where other means are available for replying to the unjustified attacks and criticisms of their adversaries. Another telling example of the Court's crucial role in indicating the boundaries of state (and specifically politician's) action vis-à-vis its citizens! Agressive youth, policemen too ready to shoot, and a girl at the wrong place at the wrong time. Such are the sad ingredients in the Turkish case of Evrim Öktem, in which the Court issued its judgment today. It all started with a patrol of three police officers in plain-clothes that saw a group of young people hanging a banner of the Revolutionary Organisation of Students on a school in Istanbul thirteen(!) years ago. When the police ordered them to stop, the youths became agressive and threatening. Consequently, the policemen fired warning shots, when pursuing the demonstrators. 14 year-old Evrim Öktem, who claimed to have been at the place of the shooting by coincidence, was hit in the knee by a bullet that had ricocheted against the ground. For two months she was unable to walk. The family of the wounded girl later pressed charges against the policeman who had fired the fatal shot (and had also been the one that had brought her to a hospital). Pronouncement of a verdict in his case was, however, deferred indefinitely. The Court unanimously found a double violation of the right to life (Article 2 ECHR). One might wonder why the right to life is applicable here, as the applicant did not die in the shooting. The Court here followed a line of case law going back to the Greek case of Makaratzis (2004) in holding that situations could fall within the scope of Article 2 if the force used was potentially lethal, with refernece to the criteria formulated in that Greek case. In the current Turkish case the Court held that irrespective of the policeman's intent, the kind of force used and the severity of the wound placed the case within the scope of the right to life. On the substantive side, the Court concluded that the great freedom of action of the policemen was not limited by any proper training or rules and regulations on the use of force in times of peace. Apart from this material violation, the Court also found a procedural violation of the right to life on account of the deferral of a verdict in the criminal case against the policeman, resulting in de facto impunity. The applicant was awarded 16,000 euros for non-pecuniary damages. Just like in Makaratzis, this judgment shows the essential importance of clear guidelines on the use of force. To formulate and implement such regulations is part and parcel of a state's obligations under the ECHR's right to life. As part of its celebrations, the Court has donned itself with a new electronic garment: the website has been renewed and the portal now offers the choice to go to either a completely English or completely French version. In general, the same structure has been maintained, with a bit more colour and a special part on the tenth anniversary. For readers fluent in German, there is a great resource available on the internet: www.egmr.org. This site, managed by dr. Marten Breuer of the University of Potsdam, is a true Fundgrube of ECHR information in German. Its main appeal lies in its extensive overview of German translations of ECHR judgments, with references to the relevant law journals: a great tool for practitioners. In addition, it contains many links to other sites and a list of ECHR handbooks in the German language. Recommended, or should I say, 'empfohlen'? Thanks for pointing this out to me, Marten!